each activity before moving on to the next. Find 10 commonly used keys using the mouse. Type 10 keys using the keyboard. Find 10 less commonly known keys using the mouse. 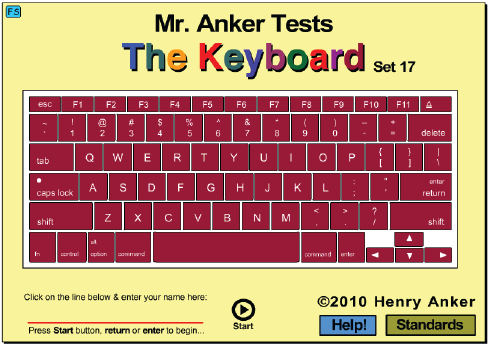 Use the shift key to create 10 punctuation & symbols. Begin touch-typing with the Home Row keys. Find hidden keys by noticing their neighbors. 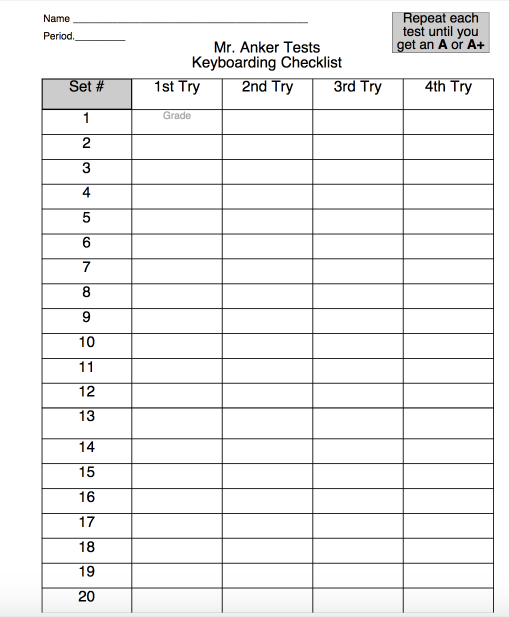 Follow written prompts to find special keys, based on their function, using the mouse. 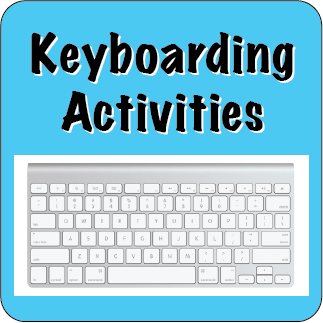 Follow written prompts to find more special keys, based on their function, using the mouse. More touch-typing practice with the Home Row keys. The first in a series of timed activities designed to increase speed, with emphasis on the Home Row keys. A short touch-typing exercise with the Home Row, with an emphasis on accuracy rather than speed. Locate, by uncovering every key on the keyboard, using the mouse. More touch-typing practice with the Home Row keys, with emphasis on both speed and accuracy. Touch-typing common words with the emphasis on accuracy only. Speed touch-typing practice with 100 key strokes. More touch-typing practice with common spelling patterns, with emphasis on accuracy only. More speed and accuracy practice. More challenging speed and accuracy exercise. Typing complete sentences with initial capital letters and final punctuation. 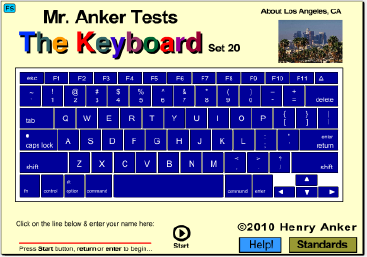 More touch-typing practice with sentences and photos of places in Los Angeles, California.